Foot And Ankle Fractures Specialist - Palm Beach Gardens, FL: E. Charisse Dunn, D.P.M. : Foot and Ankle Surgeon: PGA Foot & Ankle P.A. Your feet and ankles undergo an enormous amount of stress on a daily basis supporting, balancing, and providing mobility for your body. It stands to reason, then, that a foot or ankle fracture can have a serious impact on your ability to function normally. Podiatrist and foot and ankle surgeon, Dr. E. Charisse Dunn, specializes in treating foot and ankle fractures at her practice, PGA Foot & Ankle P.A. in Palm Beach Gardens, Florida. To get the best care possible for your feet and ankles, call or go online to make an appointment at PGA Foot & Ankle P.A. How many bones are in the feet and ankles? What are the most common causes of foot and ankle fractures? When you fracture a bone in your foot or ankle, the first thing you notice is the pain. From there, other symptoms may include swelling, bruising, and tenderness. You may also be incapable of bearing extra weight, and an obvious dislocation may be present. These symptoms vary depending on the severity of your fracture. If the pain is mild to moderate, and doesn’t go away after a day or two, make an appointment with Dr. Dunn for an evaluation. If the pain is severe and there is an obvious dislocation, or the skin is broken, seek emergency care right away. 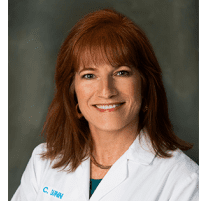 Dr. Charisse Dunn treats each fracture individually, taking several factors into account, such as the location and severity of your fracture, as well as your lifestyle needs. If you suspect you have a fracture in your foot or ankle, call or go online to make an appointment with Foot and Ankle Surgeon Dr. Charisse Dunn.